Set in the ‘90s, hip-hop loving teenager Eddie Huang (Hudson Yang) and his family have lived in Orlando for a few years now and have assimilated nicely into the suburban American lifestyle. Cultural differences still present everyday challenges, but close friends, neighbors and business acquaintances are there to help them navigate the complexities of raising a family of future millennials. Dad Louis (Randall Park) has taken great pride in turning the once struggling steakhouse, Cattleman’s Ranch, into a successful family restaurant. Having bought out his business partner and now full owner of the restaurant again, he focuses on not only growing his business but also trying to spend more time with his family. With Honey (Chelsey Crisp) and Marvin’s (Ray Wise) baby on the way, Louis begins to focus on the fact that while his friends are starting a new family, he and Jessica (Constance Wu) are finished having children; and he worries that he only has a few precious years left with the kids before they scatter and begin their own lives away from home. Mom Jessica, who recently became a U.S. citizen, finally released her mystery/thriller novel. Now that she’s finished with the book, she begins to look at what the next chapter in her life will look like. Eldest son Eddie is looking forward to getting his driver’s permit and ultimately getting a car. Now that his best friend, Nicole, is moving to New York, Eddie begins to think more about his own future and ultimate independence away from the family – and possibly Orlando – as he starts to get closer to being a young adult. He will consider going on a two-week Chinese-American cultural exchange program – dubbed “The Love Boat” – to Taiwan as part of his independent journey. Carefree middle child Emery (Forrest Wheeler) continues to do well at everything he attempts – school, sports, girls. But he realizes that his co-dependence on baby brother Evan (Ian Chen) may be coming to an end as they’ve taken the first steps of becoming more autonomous by getting rid of the bunk beds and having single beds of their own. Evan is still Mommy’s perfect child who helps maximize efficiency during weekly trips to Costco, yet he’s unafraid to challenge her to a healthy debate about such topics as which is the more satisfying dessert – pie or cake. Grandma (Lucille Soong) has much more independence now, thanks to her motorized wheelchair and her new garage apartment. But she’ll always make time to poke her nose into family affairs. Neighbors Honey and Marvin are getting ready to start a family of their own with their baby on the way. Honey’s a bit nervous about becoming a first-time mom, but Marvin’s been there with Nicole and will help guide her through the obstacle course that is parenting. 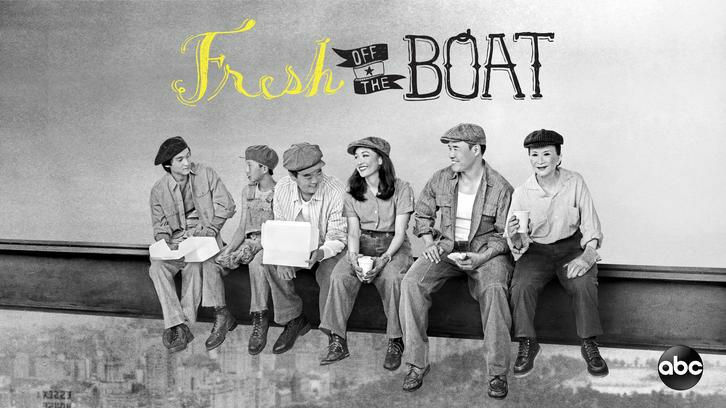 “Fresh Off the Boat” was written by Nahnatchka Khan, who also serves as executive producer. Jake Kasdan, Melvin Mar, Keith Heisler and Matt Kuhn are executive producers. The series is produced by 20th Century Fox Television. It is broadcast in 720 Progressive (720P), ABC’s selected HDTV format with 5.1 channel surround sound.